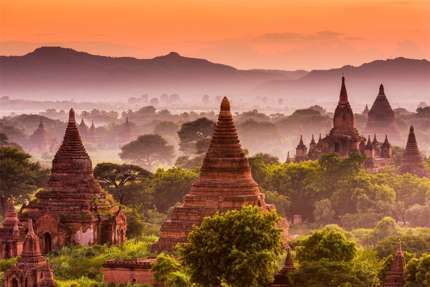 Located in central Myanmar, Bagan (formerly known as Pagan) was the capital of the Pagan Kingdom, which flourished between the 11th and 13th centuries. The 26 square-mile site is made up of more than 2,200 Buddhist stupas, pagodas, and other religious buildings; many have been restored and visitors are free to explore them inside and out. Each entry ticket is valid for five days, and the best way to discover them is on a bicycle. Head to Shwesandaw Pagoda for a postcard perfect picture of the sunset over the Bagan plain with the stupas in silhouette. Another great place to take either sunrise or sunset photos is the North Guni Temple, which is less crowded than Shwesandaw. 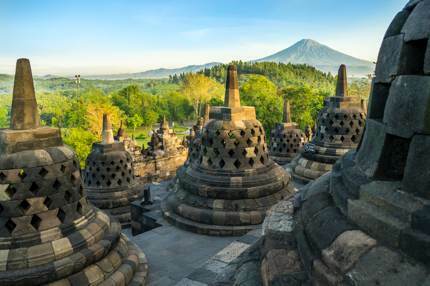 This 9th-century temple in Central Java, Indonesia, is the world’s largest Buddhist temple. Think of this incredible site as a cone, where visitors circumnavigate clockwise along the open walkways around its central axis, passing by 72 stupas and 504 Buddha statues, before gradually ascending to its uppermost level where the Great Stupa sits. The path from the bottom to the top symbolises the path to Nirvana. On Vesak day, pilgrims from around the world walk this particular path to commemorate the birth and enlightenment of Buddha. 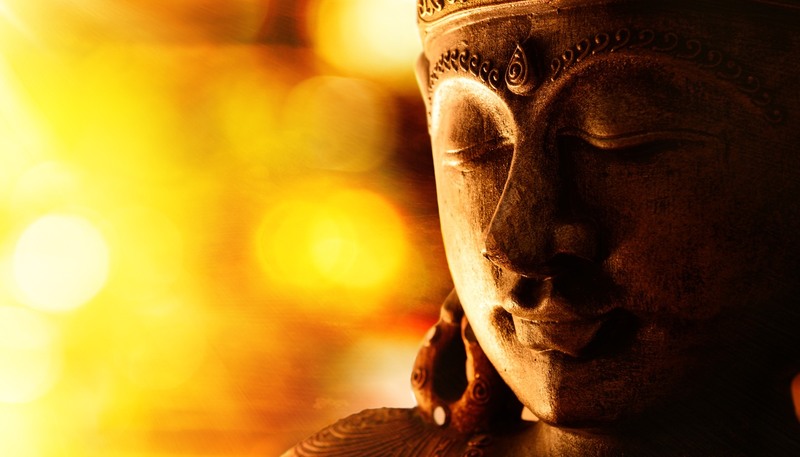 We can’t talk about Buddhist temples without mentioning Bodh Gaya, the site where Gautama Buddha is said to have obtained Enlightenment, under what became known as the Bodhi Tree. 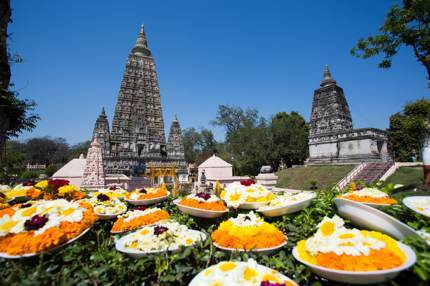 Mahabodhi Temple is the centrepiece at Bodh Gaya. It stands at 55m (180ft) and has been restored to its original splendour. Although it is the most holy site for Buddhists, the temple diligently preserves images of other Hindu deities built centuries ago. This level of religious tolerance may explain why there have never been any wars fought in the name of Buddhism. 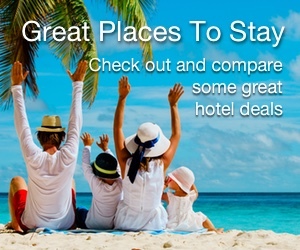 Before you go, check out the India Travel Guide. Japan’s first designated UNESCO Heritage site, Horyu-ji was completed in the year 607. Though many people know that its pagoda is considered as one of the oldest multi-storey wooden buildings in the world, very few know about its shinbashira construction technique. This Japanese invention means there’s a massive central pillar supporting each storey and its heavy-tiled roof, leaving them detached from other floors. In the event of an earthquake, each floor shakes independently and transfers the energy to the central pillar, which in turn disperses to the ground. 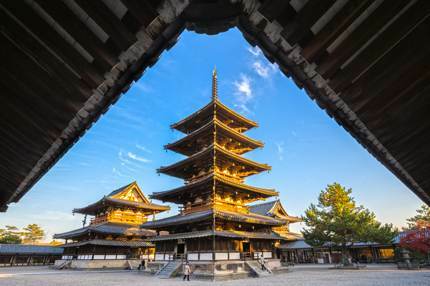 This is why the pagoda can withstand strong earthquakes that hit Japan frequently. While visitors aren’t allowed to climb the pagoda, this 46-acre site contains many religious buildings displaying important statues and articles, making it well worth a visit. Horyu-ji is about 40km (25 miles) away from Osaka, Japan. 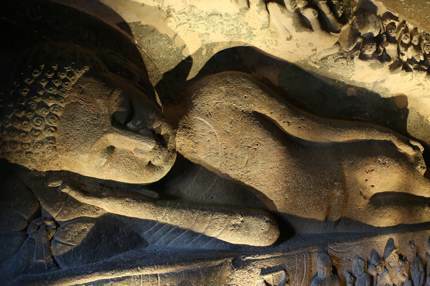 Strictly speaking, Ajanta isn’t a purpose-built temple, but a total of 30 monasteries and worship halls carved into the rock face of a mountain. The caves, particularly caves 1, 2, 4, 16, 17 and 26, are adorned with masterfully painted wall murals and beautiful sculptures. The best time to go is from November to March, when the weather is dry and cool. The caves are about 450km (280 miles) away from Mumbai, India, and the nearest regional airport is Aurangabad Airport, which is just about 100km (62 miles) south.